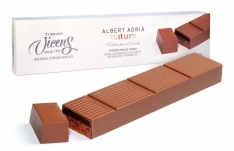 This corn nut turrón-nougat by Albert Adrià, brother of Ferran Adrià, owner of one of the most famous restaurants in the world, is made from lime truffles with hazelnut and corn nut praline. 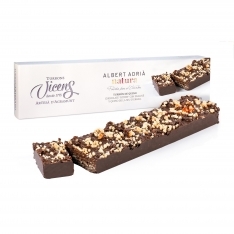 The company Turrons Vicens stays true to the turronera tradition of "Agramunt". 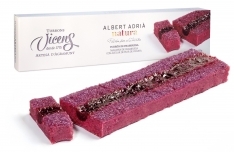 The Vicens family was one of the pioneers and started producing the Torró d’Agramunt en 1775. 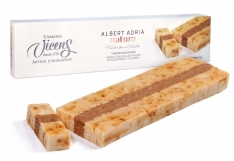 Over time, this turron-nougat has become the typical sweet of the area and has obtained the seal called "Protected Geographical Location". This original recipe that has been passed from generation to generation is their legacy and their core value.